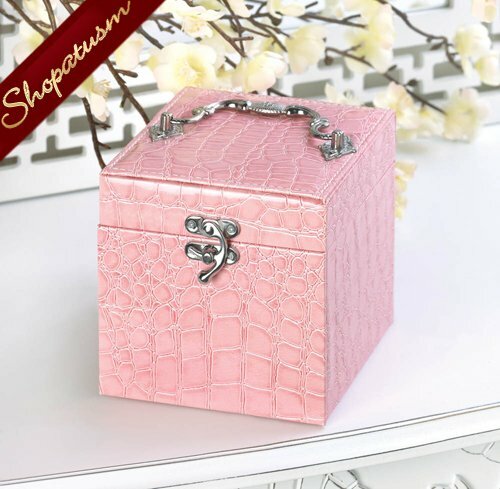 This is for a Stylish Pink Faux Snakeskin Jewelry Box from Shopatusm. There's no denying the chic styling of this sleek jewelry box. 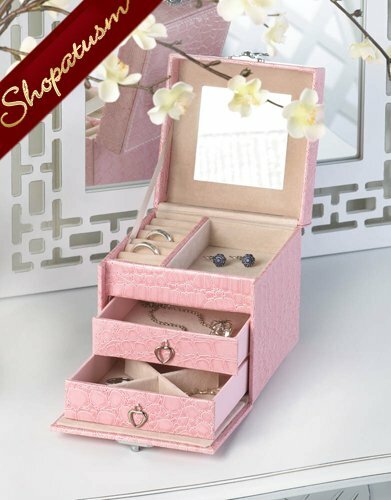 Finished in pink faux snakeskin and featuring a bold silver tone metal clasp and handle, this is a great box to stash your jewelry at home or on the go. Item Weight: 1 lb. 4 3/4" x 4 3/4" x 5 1/4" high. PVC and inner felt lining.